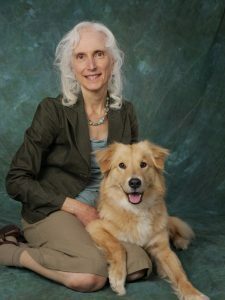 In 2011, Dr. Fisher founded the non-profit Rescue Animal MP3 Project with her passion to improve the quality of life of rescue and shelter animals across the United States. Her organization donates free MP3 players filled with 30 hours pre-recorded music that is specifically formulated to provide a calmer environment for animals. Shelter Follow Up Evaluations show up to 95% less barking (an average of 54%) and the animals are an average of 58% more relaxed! Now, her dream of providing calming music and holistic products to help all the animals has become a reality with the creation of CALM MY PET Company. This is her way of reaching out and helping as many animals as she can worldwide. Born and raised here in Canton Ohio her passion for animals was sparked at the young age of 5, with a sweet feline companion named Patches. Patches seemed to act more like a dog then cat, she would allow Miranda to dress her in doll clothes and push her around in a stroller, and from there her love for animals grew. She had a wide range of childhood pets from Cats, Birds, Turtles, Hamsters, and Fish. By age 8 her family adopted their first of many dogs. She was always bringing home some animal that needed care and love. Thankfully she had understanding parents who never turned them away. During her teenage years she was blessed with a yellow Labrador named Baron. Together as a team they were avid members in local 4-h groups, showing in both county and the Ohio state fair. Her journey with Dr. Fisher started in 2004, when she was 15 years old, over the years she has learned much and couldn’t imagine working anywhere else. Miranda shares her home with 2 “Fur-Children”. Auna a 10 ½ year old long haired German shepherd who picked Miranda as her own at 8 weeks of age, and started her love affair with German Shepherds. She has been the most loving and dedicated companion anyone could ask for. Jase a goofy 4 ½ year old Labrador who thinks the world is his playground, and has never had a bad day. His job is to make them smile; luckily for them he is good at his job! In her spare time Miranda enjoys the outdoors, shopping and travel. For as long as she can remember, Cheri has had a special bond and connection with animals and nature. In 2006, she completed a Veterinary Aide course at Wayne College. She is a Reiki Master/ Practioner/ Teacher and a Certified Herbalist. She is a Healing Touch for Animals Practioner and has taken courses in Canine, Feline and Equine Massage, Canine Gait, Animal Behaviour, Communication, Color Therapy, Craniosacral Therapy for Animals, Jin Shin Jyutsu for Animals, and a Qi Gong for Healers course. She works as an assistant to Dr. Fisher and is available to perform sessions to help and support your animals by appointment at the office. Cheri has done volunteer work with Kitten Krazy (a non-profit kitten rescue), The Animal Disaster Team and C.A.R.E (County Animal Rescue and Evacuation) of Medina County where she completed multiple course in animal First Aid and rescue. Cheri’s lifetime love of being with and taking care of animals has made it her goal to help our animal companions feel heathier, less stressed and enhance their performance the “natural” way. She enjoys spending time reading, horseback riding, gardening and meditation. Deanna has always had a love of animals and longed to have a horse. She was raised in Akron, where there was always, at least one dachshund and many tropical fish. Other childhood pets included turtles, a duck, an alligator, and a rabbit. Deanna specialized in Speech-Language Therapy in the public schools for 31 years, to improve the communication skills of many students. During that time, she was able to fulfill her childhood dream of having a horse and became an avid rider, spending many long days in the summer, participating on the Ohio Wagon Train and the Appalachian Wagon Train. Inspired by a close friend, Deanna began her holistic journey, with Young Living essential oils and energy work. Deanna is an Advanced Proficiency Healing Touch for Animals Practitioner, having completed all courses. She most recently attended classes in Cranio-Sacral Therapy and Cranio-Sacral Therapy for small animals, as well as Reiki. Over the years, she has supported many animals with treatment sessions, including horses. Deanna is now a retired educator and is pursuing a life of abundance with family, friends and her animal companions (horse, dog, hens). She is now able to share her passion for animals at our office, by appointment and assists Dr. Fisher. Much of her free time is spent outdoors, hiking, feeding birds by hand at the metropark, gardening, camping, reading, at the barn, dog walks, and in stillness. Debbie is a retired Registered Nurse. She has spent her life caring for people and now that she is retired she shares her love and caring with her dobermans. She got her first Doberman after she got married and began showing in the breed ring. She soon discovered agility was her real love. In addition to her 2 Dobermans she enjoys reading, gardening and learning about crystals and essential oils and their benefits. She has completed Reiki 1 course and has enjoyed working with Dr. Fisher for 3 years. One day, an injured deer with her two fawns showed up on Barbara’s backyard patio. Through her window, she offered healing energy to the deer. The deer quickly relaxed and accepted her offer and continued to come for frequent visits throughout the winter season for more energy healing. Amazed at the speed of the deer’s recovery and with a passion for working with domestic and wild animals, Barbara became a Healing Touch for Animals Certified Practitioner. Her exploration in energy healing modalities began with Reiki I & II in 2003. She continued her training and education with Healing Touch for Animals, Healing Touch 1-3, Craniosacral Therapy for Animal, Craniosacral Therapy I & II, Reiki for Animals, Sound Therapy, and Color Therapy. She graduated from the University of Michigan with a bachelor’s degree in Anthropology and a MBA from Kent State University. She is also an Ohio licensed Dispensing Optician. She enjoys spending time as a volunteer at Saunders Wildlife Center at Sippo Lake in Canton helping orphaned and injured animals and continues to offer healing energy to the animals that show up in her backyard. She works as an assistant to Dr. Fisher and is available for individual energy sessions by appointment at the clinic. Animals have so much to teach us with their unconditional love, trust and compassion and she is honored to work with them.